Some students in Years 12 and 13 find it difficult to handle the pressure in the lead up to their A-levels. The resulting stress can cause some students to experience mental health issues such as anxiety and depression. As well as affecting their well-being, this can impede their progress for their A-levels and possibly prevent them for achieving their best grades. For example some students can see teacher feedback as personal criticisms, rather than useful learning opportunities, which can inhibit their progress. This programme of three workshops is focused on the mindset and approach of students for their A-levels. The programme enables students to better handle their anxiety and develop their own strategies for approaching their A-levels with a calm, positive and determined approach. The workshops include group discussion, self-reflection and activities to develop students’ thinking and resourcefulness. An encouraging and supportive coaching approach is taken throughout, enabling students to come up with their own ideas and strategies. 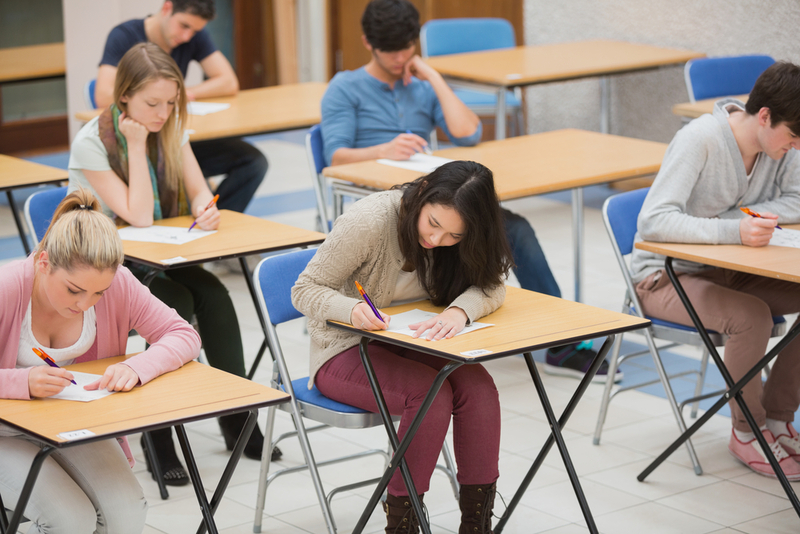 The sessions do not cover revision or exam techniques, as this is best addressed in school lessons. Instead, the sessions equip students with the appropriate skills to approach their A-levels with the mental mindset to achieve their best. The sessions are run with small groups of up to eight students. Throughout the programme students are encouraged to self-reflect and consider how they will encompass the tools they have learnt in their daily habits, to reduce their anxiety about their A-levels. Students are held accountable for their personal development by reviewing their ongoing progress. The founder of Confident Teens, Caroline Walker, was a high achieving student at a state grammar school, and went on to study at Cambridge University. She clearly remembers the pressures leading up to A-levels with her high expectations of herself, and uses this experience and everything she has learnt since to support, encourage and empower young people to develop their self-belief, resourcefulness and their own strategies to handle the stresses of this time, to be able to perform at their best. Every student completes a feedback form at the end of each workshop, and we summarise this feedback into a report, so you can understand what the students got out of the session. Our workshops are available to schools in Hertfordshire, Buckinghamshire, Bedfordshire, Oxfordshire and London. This workshop is suitable for both male and female Year 12 and Year 13 students. To ask any questions, please email hello@confidentteens.co.uk Or use our contact form to send us your email address and we’ll be in touch to help. We look forward to speaking with you about how we can support your students to develop their mindset strategies for their A-levels.